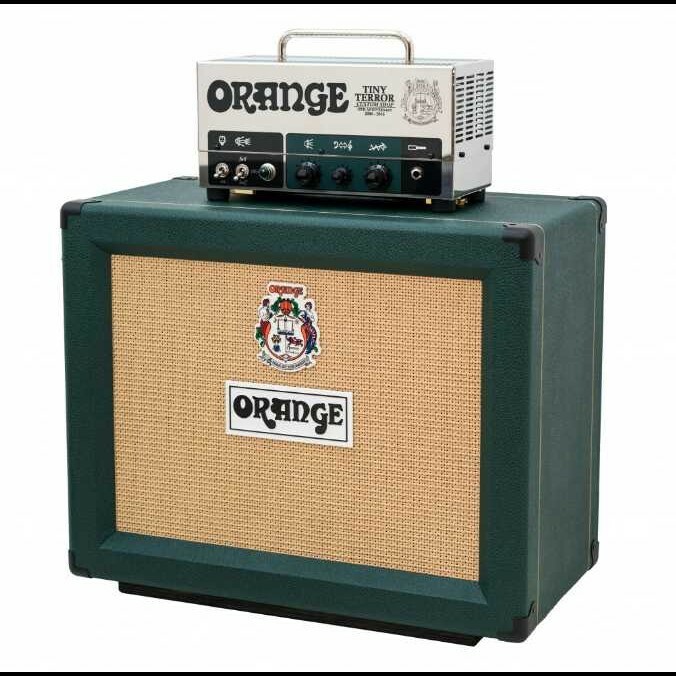 2016 marks ten terrific years of the original ‘lunchbox’ amp – the game-changing Orange Tiny Terror. To celebrate this musical landmark, Orange’s UK Custom Shop has designed and produced 110 commemorative Tiny Terror 10th Anniversary half stacks. The limited edition head is a point-to-point hand wired recreation of the iconic original. Featuring premium components throughout and housed in a stunning, polished mirror-effect stainless steel chassis, the 10th Anniversary model is a fitting way to reflect on the amp that turned the guitar world upside down. Each of these Tiny Terror heads comes complete with its own bespoke open-back speaker cabinet. The cabinet revels in Orange’s British heritage, finished in a never-done-before British Racing Green and will not be available separately. Fitted with a brace of 10” Celestion G10 Gold alnico speakers, the cabinet and head dovetail together seamlessly to produce the ultimate Tiny Terror tone. Described by Guitarist Magazine as “the most important guitar product of the last thirty years”, the Tiny Terror single handedly kick-started the low wattage amp craze, courtesy of its ingenious compact design and stunning all-valve tones. The 10th Anniversary edition half stack is sure to become a true collector’s piece, and will come with a certificate of authenticity, signed by Orange founder and CEO Cliff Cooper.